The Home Netwerks showerhead holds a portable wireless speaker that pairs wirelessly with BLUETOOTH enabled devices to deliver high-quality audio to your shower. The speaker docks directly onto the showerhead arm so your music is right where you want it without interfering with exceptional water coverage. 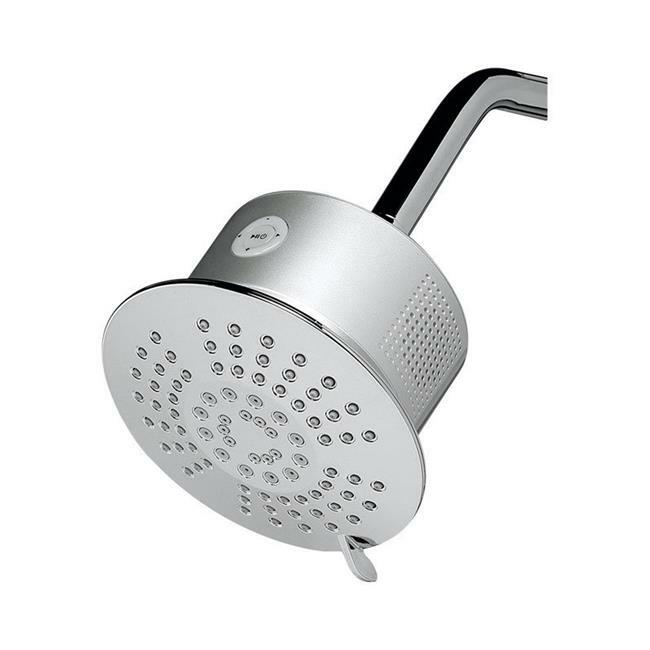 Take showering to a whole new level with Home Netwerks Showerhead and Stereo Speaker in One.